Straight Blade-Unsharpened. Also available in (50) per box.Replaces:OREGON 40-131PRIME LINE 7-04703..
Straight Blade-Unsharpened.Replaces:OREGON 40-132SUNBELT B1SB2669Dimensions:LENGTH: 12-1/8"WIDTH: 2"..
BLADE EDGER 6-3/16" X 1/2"
Fits Black & Decker Electric Edgers.Replaces:BLACK & DECKER 82-010PRIME LINE 7-05800STENS 375-394SUN..
Black & Decker Edger Blade - Unsharpened.Dimensions:LENGTH: 7-1/2"WIDTH: 1-1/2"C. H. DIA: 1/2"THICKN.. Fits Paramount Electric Edgers.Replaces:PARAMOUNT 534205300SUNBELT B1SB6762Dimensions:LENGTH: 7-1/2"..
Also available in (50) per box. 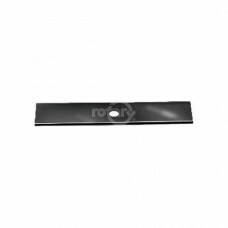 Fits Maruyama Trimmer/Edger, Green Machine & Echo Trimmer/Edger & S..
Also available in (50) per box. Fits Echo, Green Machine, Edger Tool, Shindaiwa. Straight Blade.Re.. Fits Maruyama Trimmer/Edger, Green Machine & Echo Trimmer/Edger, Stihl FC 72 Trimmer. Stihl #4133-71.. Fits Maruyama Trimmer/Edger, Green Machine & Echo Trimmer/Edger & Stihl FC 72 Trimmer. Unsharpened,..
Straight Blade-Unsharpened. Fits Black & Decker.Replaces:BLACK & DECKER 82-024OREGON 40-121PRIME LI.. 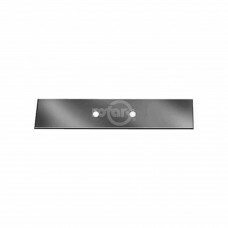 Fits Poulan/Weedeater Gas Powered Edgers.Replaces:POULAN 530-095086Dimensions:LENGTH: 8-1/2"WIDTH: 1.. 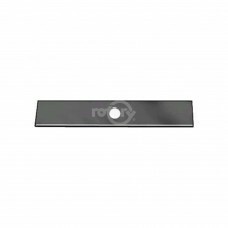 Replacement for Poulan-Weedeater.Replaces:POULAN 530-402-864POULAN 952701699Dimensions:LENGTH: 8-1/4.. Fits Homelite. 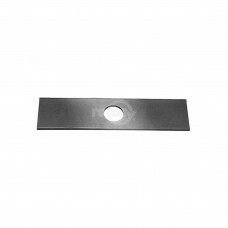 Straight Blade.Replaces:HOMELITE/JACOBSEN D-04359HOMELITE/JACOBSEN DO-4359SUNBELT B1..
Straight Blade-Unsharpened.Replaces:SUNBELT B1SB2672Dimensions:LENGTH: 8-9/16"WIDTH: 2"C. H. DIA: 1/..
Straight Blade-Unsharpened. Also available in (50) per box.Replaces:OREGON 40-130PRIME LINE 7-04704..